There are many suit manufacturing companies around the world that offer suits of varied qualities for varied price, sometimes their price scale may be relatively higher than the quality of their products. But only few help you step out in fashion forward styles that seem to be like Hollywood celebrities, for a reasonable price. Tallia is one such kind, which took an initiative to evade the gap between best quality and low price. This long famed company led a revolution in suiting industry and till date continues to be a leader in producing men's fashion attire that includes tuxedos, conservative suits, blazers, sport coats, winter jackets, men's formal dress shirts and pants etc. 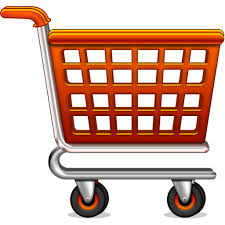 The apparels from this quality brand are found in over 400 top showrooms across the countries. It is the skillful stitching of the quality master tailors that evoke a deep sense of uniqueness to any suit, turning it into a personal attribute more than attire. Having this in mind, the unique tailors of this suit manufacturing company makes these fabulous men's suits rank top among other popular brands. The fabrics that are roped in Tallia suits are highly breathable and they do not restrict the use of colors, patterns and complex weaves. These handpicked fabrics strive hard to make the stylish outfit resilient to wear. Tallia involved in garment production, sticking to the fact that wardrobe clearly reflects one's personal style. So, each and every piece of the outfit that comes out from the factory of this major suit manufacturing company flaunts unique style. It is completely hard to imitate or duplicate these branded fashion forward clothing. 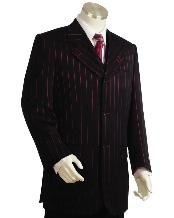 The masculine shark skin suit exudes a non-pleated flat front with an elegant notch lapel. To make you comfortable, the outfit is employed with double vents, and the multi-inner pockets make clothing more functional. The rich blend of polyester and viscose smoothen the exterior. The stylish men's vested suit brings out the professional inside you. Incredibly soft poly-rayon attributes the soothing feel of the fully lined suit. Stunning vented jacket and single pleated pants complement each other's style. The earthly construction of the suit makes it ideal for formal, business or special occasions. 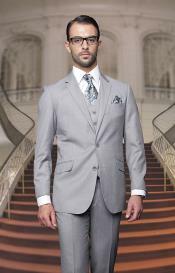 The classic gray suits are perfect for those, who seek an extra hint of professionalism in their attire. It is bestowed with exotic features that meet everyone's personal style and taste. In order to render a metallic touch, it is crafted with silver tone metallic two button front closure and four -button details on cuff. These collections embrace your handsome silhouette appropriately. Grab a ramp ready finish by augmenting yourself with this edgy long red suit. The hassle of high maintenance is reduced with the wrinkle free fabric that undergoes an unvented construction, forming lengthy seven button attire. Masterfully hemmed double pleated pants work well with jacket and provide a ravishing effect to the outfit. For more than a decade, mensitaly.com is involved in offering the quality Tallia suits to our customers. Our ultimate goal is to make the stylish garments reliable even for an average person.